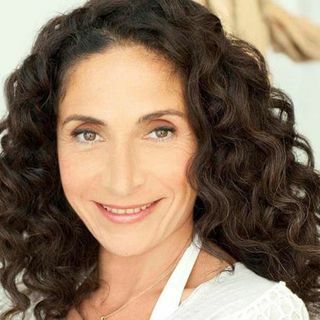 Sister Jenna welcomes celebrity fitness and wellness expert, Mandy Ingber, to the America Meditating Radio Show. Mandy is a New York Times best-selling author and creator of the yoga-hybrid DVD YOGALOSOPHY. Her 20 years of teaching experience have attracted such clients as Jennifer Aniston, Kate Beckinsale, Helen Hunt, Ricki Lake, Jennifer Lawrence, Jennifer Meyer, and Brooke Shields. Mandy’s class has been awarded “Best of LA” in numerous publications and she is a keynote speaker and a ... Más informaciones headliner at many events. She is a fitness blogger for E! Online and People.com and is featured regularly in numerous publications, including Elle, InStyle, Los Angeles Magazine, and O, The Oprah Magazine, to name a few. Mandy has performed on Broadway and appeared on many TV shows including Access Hollywood, E! News, Fox Extra, Good Day L.A., Good Morning America, and the TODAY show, among others. She played Annie Tortelli on the all-time-favorite series Cheers, and is remembered for her famous rap in the classic Teen Witch. Her newest book is entitled “Yogalosophy for Inner Strength: 12 Weeks to Heal Your Heart and Embrace Joy.” Visit http://mandyingber.com.